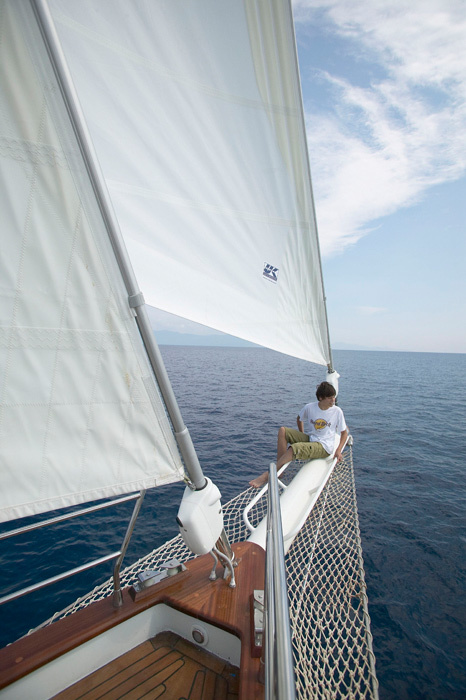 Enjoy unparalleled moments on board the classic schooner Kairós. 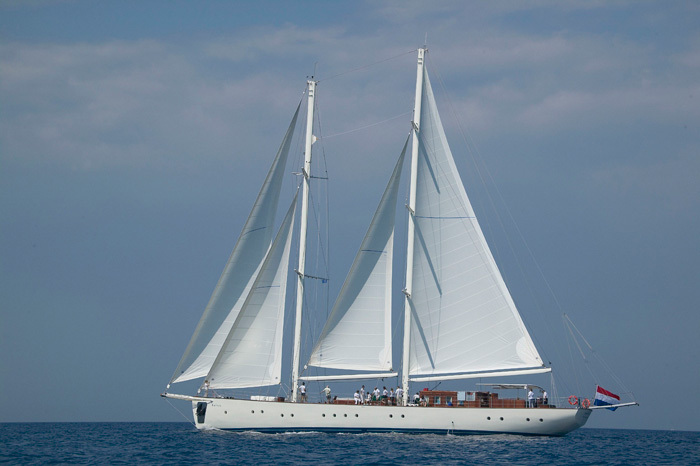 Sail on a large mega-yacht with 125 feet in length - without compromising on comfort and professional care. Large teak deck area, plenty of space for sunbathing, at the stern Boarding for up to 20 guests under the sun roof. Deckhouse with helm and bar, side Admiralty Head for swimming and reaching the dinghy, gangway to the rear exit at the pier. 10 double cabins for up to 18 guests, cuisine: Early Bird Breakfast, buffet breakfast, lunch, afternoon tea and cake, dinner, captain's dinner once a week. 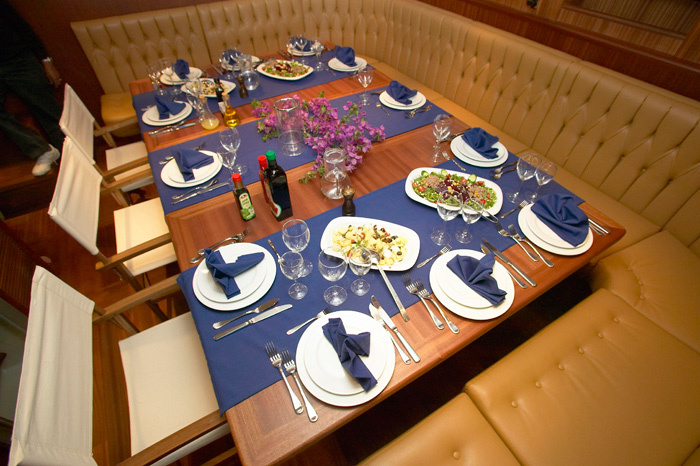 Great show with space for dining and meetings with more than 20 people. Library board, games, radio, CD, DVD, Plasma TV, white board. 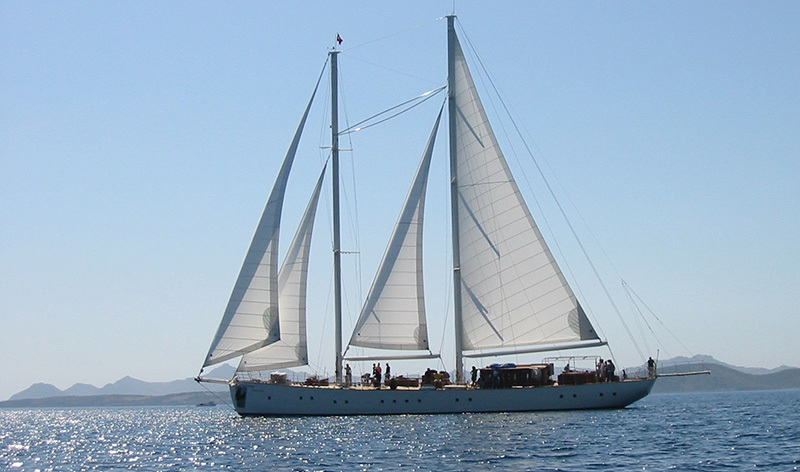 The crossover trip on Schooner Kairós are ideal for sailors who want to actively sail. They are also divided to Seewachen and included in the navigation. 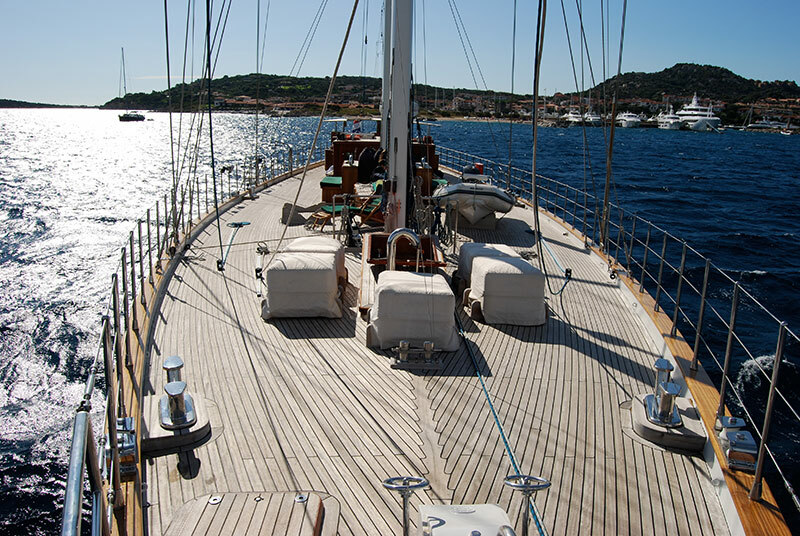 Connect the unparalleled experience of sailing on a classic yacht with contemporary comfort. Our sailing trips are an intense combination of sailing, land and people, swimming and recreation. Discover the most beautiful coastlines and islands in the Mediterranean and the Caribbean, often far away from mass tourism. Distance is not the goal, but relaxed sailing, combined with interesting shore excursions to geographical or cultural highlights. You can swim and snorkel in small, hidden coves, relax on our large deck area with a book from the library on board, enjoy the sunset from the deck chair with a drink in hand or in the hammock on the large tree, while the KAIRÓS in the evening breeze rotates around its anchor. 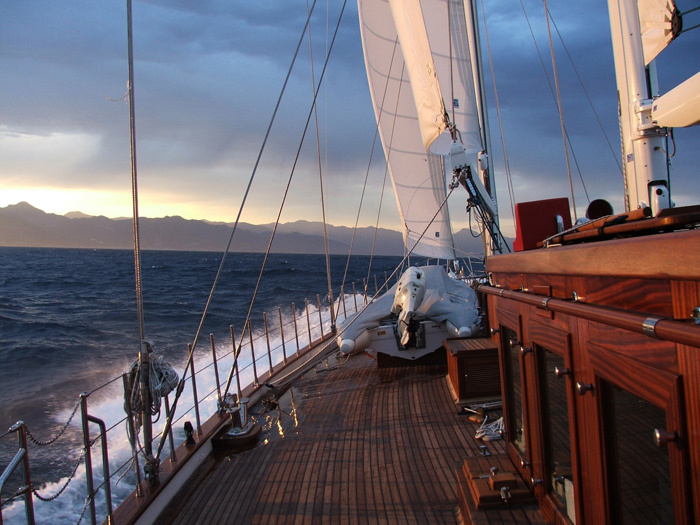 Connect the unparalleled experience of sailing on a classic yacht with contemporary comfort. 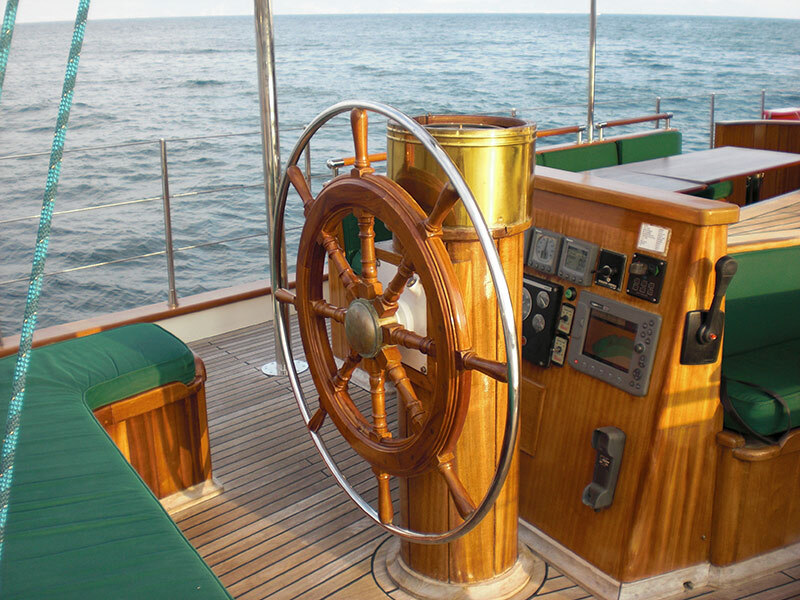 Connect the unparalleled experience of sailing on a classic yacht with contemporary comfort. 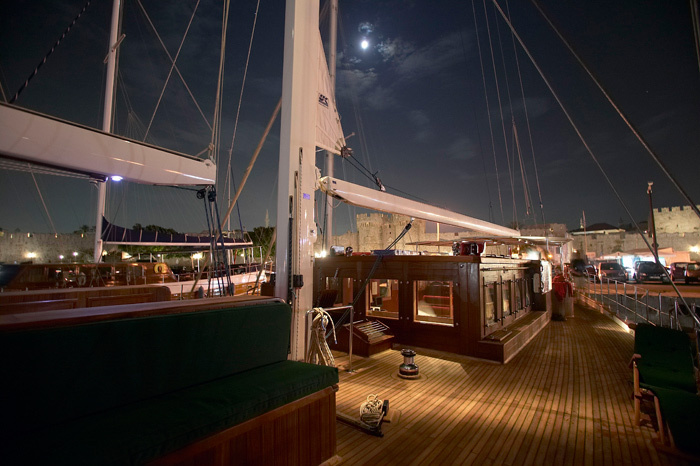 Offer your customers and partners a unique experience for all the senses in the unusual setting of a classic sailing yacht. Whether customer loyalty, product presentation, training or seminar - the KAIRÓS creates the perfect setting for a maximum of 18 overnight guests or a maximum of 30 guests on day trips and offers an experience that your guests will not soon forget. Intensify relations with your customers and partners, thank you for your valuable staff members for a special performance, strengthen the team spirit in your business and give you a boost of motivation by the sustained experience of a sailing cruise yacht in the format. Whether company, family and friends group - charter the complete KAIRÓS and plan your personal journey with more or less sailing, detailed gangways or longer swim stops. The concept of sailing yacht cruises in practice format with a maximum of 18 overnight guests (or up to 30 for day trips) is very flexible. All cabins are air-conditioned KAIRÓS (individually regulated). 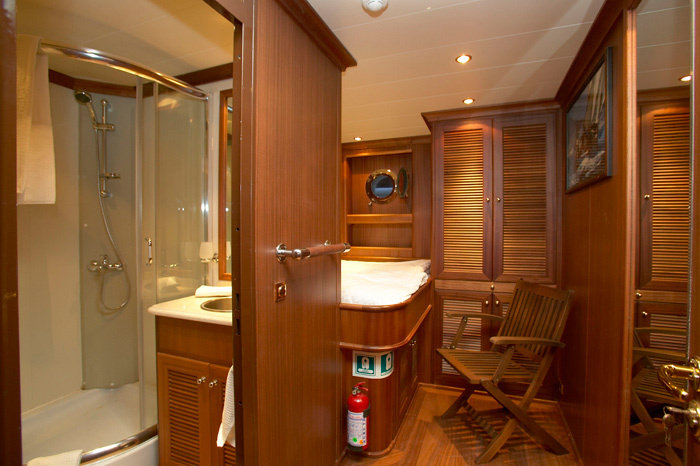 6 cabins ("Endeavour", "Mariquita", "Eleonora", "Lethantia", "Altair", "Orion") of approx 10 sqm with double berth, bathroom / WC with shower cubicle (90 x 90 cm). 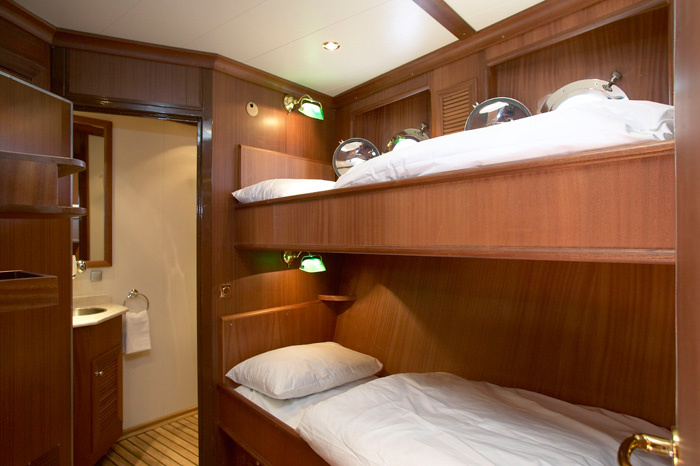 4 cabins ("Aun", "Sposa", "Anitra", "Senta") à 8 m², with three bunk beds, one with double berth, bathroom / WC with separate wet room. Classified (Commercial Cruising Vessel) and entered in the International Register of Shipping. are per person in a double cabin of the booked category, including full board, water, tea and filter coffee. Not included are soft drinks, alcoholic drinks, specialty coffees, individuellle shore excursions, spontaneous activities from on board (wakeboarding, tube riding) and gratuities. 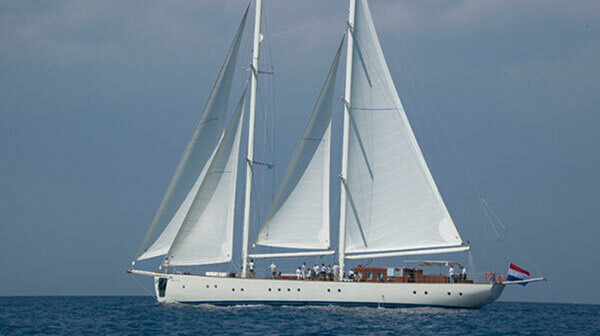 The sailing yacht trips can be booked individually or as a complete full charter. e.g. for families and friends, celebrations, business events and incentives are available on all dates for which there is still no definite booking. Please contact us. an unmatched combination of relaxed, but active sailing without a fixed schedule from bay to bay, you can swim from your boat, almost like a private yacht. At night we anchor in quiet bays or mostly located in small harbor town. Sailing yacht traveling with an additional focus and a qualified tour guide on board who introduce the topic and organizes trips and accompanied. These trips are ideal for solo travelers. These dates are especially designed for single travelers. Based routing and family-friendly service (and price). A maximum of 14 guests, including transfers from / to airport, tour guide and possibly special program. Sailing, which is particularly active sailed (even at night). Here, day and night will be sailed. Limited service, participants are considered and sailors can support the professional crew at stations and onboard usual work.